Renault, the French auto manufacturer has officially revealed the name of its forthcoming MPV which is expected to be launched by H2, 2019. Christened as Renault Triber, the new 7-seater MPV was earlier known by the codename - RBC. The new forthcoming MPV from Renault will be based on Kwid’s CMF-A+ platform. To be positioned above Kwid in Renault's line-up, the Triber is likely to be priced from Rs 5.5 lakh bracket. The car maker is already testing the vehicle on the Indian roads as couple of spy shots emerged online. Maruti Alto 800 Production Reportedly Stopped in India; New Generation Alto Likely To Be Launched By H1, 2019. Going by the previous spy shots, the new car will carry wraparound headlamps, a large grille with chrome embellishments, wrap around tail lamps and LED daytime running lamps. Though the test vehicle is seen with steel wheels, the production version could sport alloy wheels too. On the inside, the MPV is expected to come with dual-tone dashboard scheme with silver trim. The car will also get a touchscreen infotainment system, 3-spoke steering wheel and an instrument cluster and much more. Gudi Padwa 2019 Discounts & Offers on Cars: Up to Rs 1 Lakh Benefits on Maruti Alto, Ertiga, Tata Tigor, Toyota Innova Crysta & Hyundai Grand i10 & Honda City. As far as the specifications are concerned, the new Renault Triber is likely to be powered by more powerful version of 1.0-litre petrol engine that does duty on Kwid. The transmission duties will be carried out by 5-speed manual and 5-speed AMT. More details about the MPV are expected to surface in the future. 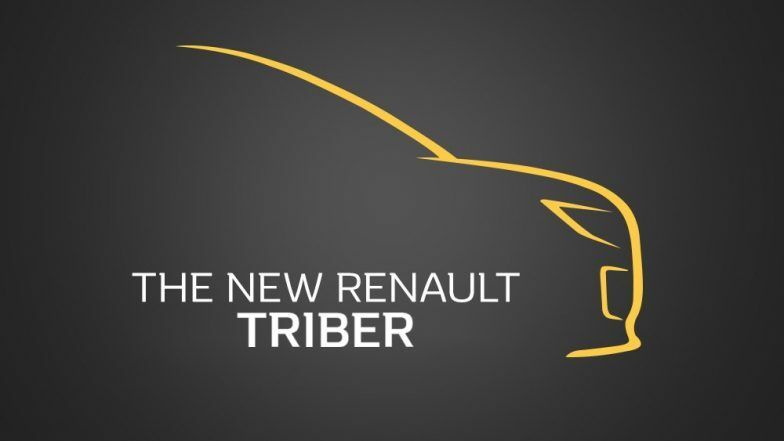 So stay tuned for more details about Renault Triber.